Beauty is an idea that must be expressed in order to be united with one’s true self. 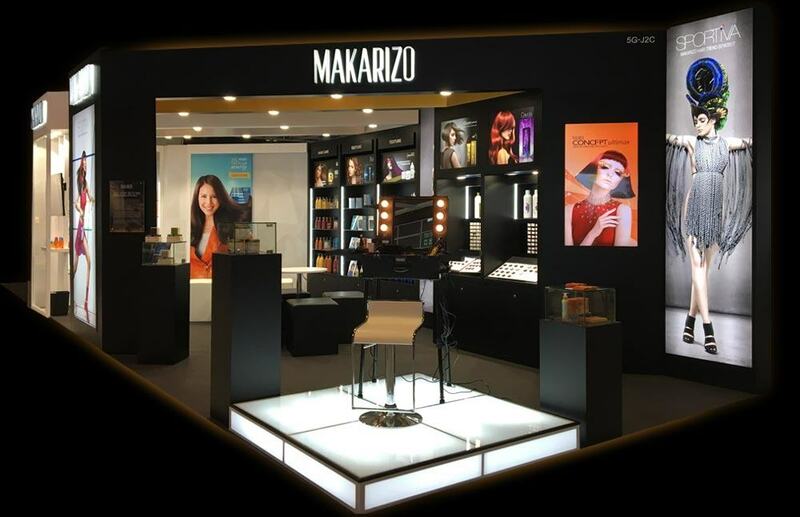 In its journey to grow and develop, Asia’s prominent beauty brand Makarizo participated in the largest beauty trade fair in Asia, Cosmoprof Asia 2016. During the three day event between November 16th to 18th, Makarizo exhibited its complete product range, from both its Professional Division and it’s Consumer Mass Retail Division. Cosmoprof Asia which was held at the Hong Kong Conventon and Exhibition Center, allowed Makarizo to showcase 10 brands from its Professional division which caters to the needs of salons, with product ranges which provide products for straightening, perming, coloring, hair treatment and spa essentials like body scrubs. Visitors were also able to see the Consumer Mass Retail division’s range of hair care and treatment products from its 3 leading brands. During the event, the Makarizo team was also available for direct consultations and business discussions, welcoming visitors who eagerly contacted the team on questions regarding partnership and product knowledge, as well as what Makarizo can offer for the beauty industry. “Makarizo strongly believes in empowerment, and the importance of providing safe avenues for people to definition their own beauty. Our complete product range can cater to a variety of needs. We are excited to see that through the event we made contact with a number of future business partners from all over the world.” said Makarizo Regional Sales and Marketing Manager Stacia Wijaya. Innovative hair techniques are one of Makarizo’s biggest strength, and the Makarizo team made sure that this aspect was not missed by the booth visitors. Makarizo International Trainer Yovan Liew captured the interest of visitors with his technical skills, who showcased various hair demos that introduced Makarizo’s special hair techniques, with this year’s highlight being Color Perming – a 2-in-1 service developed by its artistic team, and made possible by EXO’s safe formula for perming and Concept Ultimax’s ability to keep hair healthy. This year Makarizo also welcomed Back Sung Soo, Makarizo South Korea’s Technical Advisor who shared his knowledge by perfoming perming techniques and providing styling demos for on visitors at the booth.